Today is World Kindness Day. There's so much horribleness in the world at times. So it always makes my heart swell when I see kindness, in real life and online. The comments on the Human's of New York photos is just one example. Whether it's just a supportive and understanding post about how someone feels or people offering up goods or services to help those in need, it rarely fails to make me tear up! 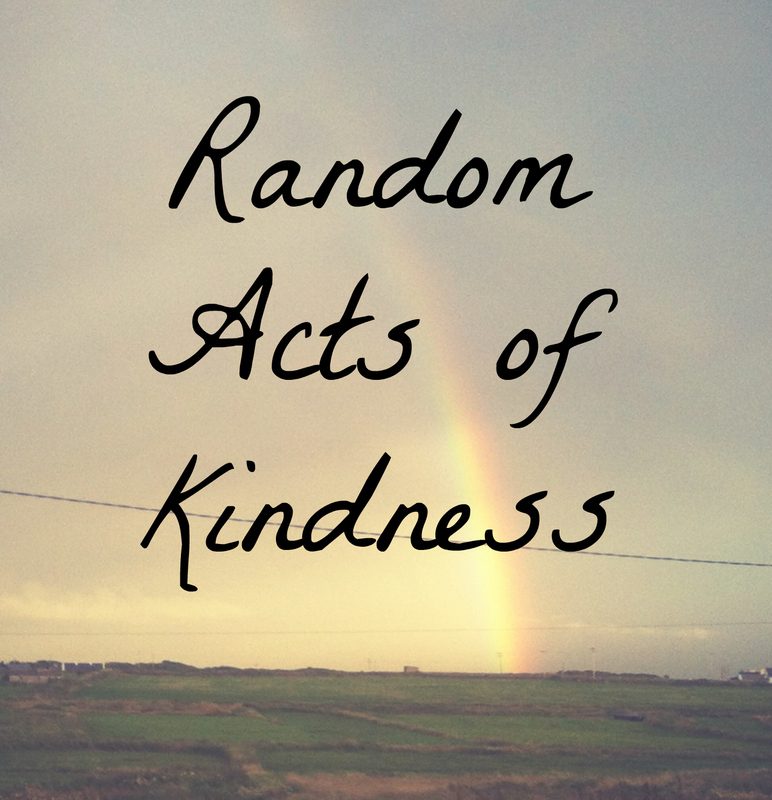 Random Acts of Kindness (RAK) probably first came on my radar when I read Join Me by Danny Wallace years and years ago. In the book, Danny posts an ad in a newspaper asking people to join him and if they were interested to send on their name and photo to him. That was it. And people did it! After a while, due to the amount of people wanting to know what they had joined, Danny said it was about RAK and Fridays became known as 'Good Friday', a day when people purposely did RAK. Tjis group became known as the Karma Army. I'm not sure how active the KA is in general but their Facebook group has some nice links to articles on RAK. Below I've listed some simple RAK. Bring some cake to work to share with workmates! 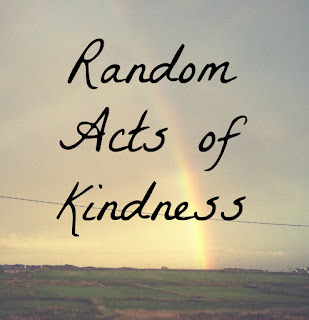 What's nice about random acts of kindness is that they can cost so little or nothing at all. And what's more, while we're on kindness, be kind to yourself too! We all have troubles and there's no point in adding to yours by being harsh on yourself. Easier said than done at times but give yourself a break. I love Humans of New York! I always read the full description after each image :P I like the idea of RAK. It's the little things that can make the biggest difference. It's so easy to bake and bring them in for work people and it can really change someone's day. Yes, I always read the description too. I used to bring baked goods into work but it was more because I wanted to bake and gave them away so I didn't eat them all!